For immediate download. Unlimited access for 1 year. apply Promo code: Your coupon will be applied after you agree to terms below. I have read and agree to the Terms and Guidelines and the Stage 32 Script ServicesWritten Pitch guidelines and understand that failure to comply could lead to forfeiture of my written spot and/or delays in receiving a response. Spots are limited. Please complete your payment in 5 minutes to guarantee your spot. Stage 32 Next Level Education has a 97% user satisfaction rate. 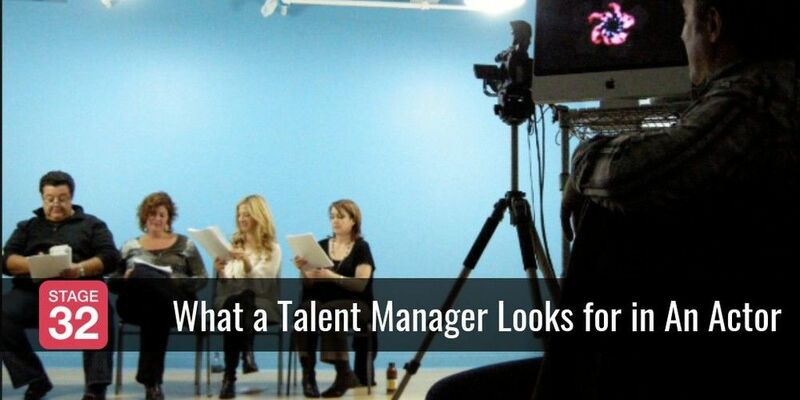 Finding the right manager is as important as honing your craft as an actor. But, how do you know if you're representation-ready and how do you know what to expect when you're given the opportunity to be repped? We've brought in talent manager Spencer Robinson, a talent manager at Art/Work Entertainment who's been in the industry for over a decade. Spencer’s talent clients have been in films with directors Quentin Tarantino, Steven Soderbergh, Clint Eastwood, Gore Verbinski, and more. In the TV world, his clients have been regular cast members on shows for Netflix, The CW, Cinemax, CBS, NBC, FX, Starz, Nickelodeon, EPIX, TBS and more. Spencer’s clients have also recurred on series for Freeform, TNT, AMC, Showtime and many more. He reps everyone from actors who are just starting out to actors with 30+ years of credits. He also represents many multihyphenates who are both writers and performers. 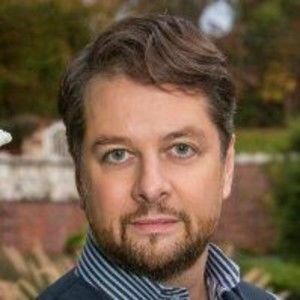 In this exclusive Stage 32 Next Level Webinar, Spencer will go over everything you need to know about a manager from how to find one, what to do once you get one and how to maintain a long-lasting relationship that help you sustain a career in the industry. Plus! Spencer will be taking your questions, so any burning questions you have for a talent manager you can bring them here! Blind submissions: good or bad? How do you know this is the right manager for you? Why would you pass on a good job? Why say yes to a mediocre job? 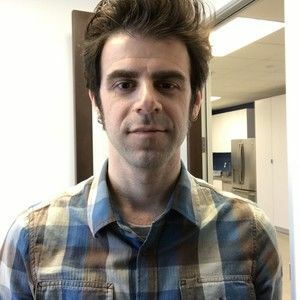 Spencer Robinson is a literary and talent manager at Art/Work Entertainment who's been in the industry for over a decade. Spencer began his career in production and moved into talent management at MBST Entertainment (Woody Allen, Robin Williams, Billy Crystal). For the past 8 years Spencer has been with Art/Work and continues managing both writers and actors for film and television. Spencer’s talent clients have been in films with directors Quentin Tarantino, Steven Soderbergh, Clint Eastwood, Gore Verbinski, and more. In the TV world, his clients have been regular cast members on shows for Netflix, The CW, Cinemax, CBS, NBC, FX, Starz, Nickelodeon, EPIX, TBS and more. Spencer’s clients have also recurred on series for Freeform, TNT, AMC, Showtime and many more. He reps everyone from actors who are just starting out to actors with 30+ years of credits. He also represents many multihyphenates who are both writers and performers. If you have a generic question about Stage 32 education you can take a look at our frequently asked questions section on our help page, or feel free to contact support with any other inquiries you might have. SORRY, THIS WRITER'S LAB IS FULL - PLEASE STAY TUNED FOR FUTURE WRITER'S LABS! Stage 32 believes in evolving and transforming to continuously put our writers ahead of the competition. Now, no matter where you live in the world, we are giving you the opportunity to work directly with a TV literary manger on a one-on-one basis to help shape your writing through our Stage 32 TV Writing Lab. All classes are taught online and at the end of this 8-week intensive, you will have a completed original TV drama pilot and pitch bible. To teach this TV Drama Pilot & Bible lab, we brought back literary manager Spencer Robinson of Art/Work Entertainment, who represents some of the most critically acclaimed and successful writers of the last few years including writers on Cloak and Dagger, Punisher, Arrow, The Last Ship, Chuck, Justified, as well as feature writers like Eric Heisserer who's films include Lights Out, which has grossed over $150 million and was Oscar-nominated for his Best Adapted Screenplay Arrival starring Amy Adams. Why Spencer? 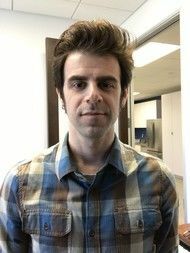 We'll let his last lab students tell you why... TESTIMONIALS FROM SPENCER'S PAST LAB STUDENTS: “Had a great time learning and progressing my knowledge of the craft of writing and working directly with a mentor who is a professional in the industry. Spencer was fantastic to be taught by! Thank you!” - Natalie A. “It was a great lab. Spencer’s feedback really helpful!” - A.Z. O. “Enjoyed the lab and Spencer was a good teacher. Appreciate his insight!” - Stephen C. “I wanted the accountability of having assignments due. That combined with the class cost was motivation to write and stay on schedule. This is a lab about story structure, getting words on the page, making strong act breaks. Spencer was great at pointed but useful notes. He doesn't sugarcoat anything. I went from an idea he wasn't on board with developing to a pilot he truly enjoyed reading -- and that was thanks to his pointed notes that got me back on track. Spencer will get those who are ready on their way to a kickass first draft.“ - Erika N. “Spencer was amazing! !” - Summer K. “Spencer Robinson is the perfect person to teach this type of class. His patience and easygoing approach is ideal and unique to him. Kudos to Stage 32 and to Spencer. Spencer's teaching style is the best! Thanks Stage 32!” - George P. WHAT TO EXPECT This lab will be very intensive and you will have ongoing executive guidance from Spencer. You will meet once a week with Spencer through an interactive online class or one-on-one meetings and be assigned weekly assignments to further your growth as a writer. We have created this lab so it will be the most hands on, professional atmosphere out there. By the end of this 8-week lab you will have a completed first draft of your TV drama pilot & pitch bible that will grab the industry's attention. This lab is designed for intermediate screenwriters looking to build a pilot from scratch or expand on an existing idea. Past lab participants formed supportive writing groups to help one another through the process. PRE-CLASS PREP - Read your syllabus and plan out your writing ideas. Begin to think about 1-2 ideas that might be a good idea for your drama pilot. Start to prepare for your pilot pitch. WEEK #1 – Introduction, Pitch Docs, Character This week we will cover the syllabus, your instructor's background and experience, your goals for this eight-week lab and launch into a discussion on creating strong characters for your pilot. We will discuss the types of drama pilots and how they differ from network to network. We will go over how to create effective loglines and pitch documents. Then we will delve into character – what makes for strong characters and weak ones. The assignment for this week will be to create a pitch document and write a detailed description (around half a page) on each of your series regular characters. WEEK #2 – Pilot Outline and Series Bible This week we will break down pilot structure, plot and subplots. Pilot structure varies depending on the type of drama pilot (procedural or serial) and the network (broadcast, cable, streaming, digital, etc.) We will identify what kind of network to target for your story idea and structure the pilot accordingly. We will also discuss the function of your series bible and what it needs to include to support your pilot. The assignment for the week is to complete a pilot outline and start work on your bible. WEEK #3 – Pilot Outline (One on One Consultations – No Online Class) This week will consist of one-on-one consultations regarding pilot structure. Each writer will send in their pilot outline in advance and will have a 10-minute call to discuss what works and what doesn’t. The assignment for the week is to address any notes given on the outline before proceeding with next week’s class and to continue working on your series bible. WEEK #4– Scenes, Beats, Dialogue, This week we will address the qualities of effective (and ineffective) scenes, story beats, and dialogue. The assignment for the week will be to write three complete scenes from your outline: the teaser/opening scene, a scene with heavy dialogue, and a strong character scene. WEEK #5– Acts 1 and 2 We will discuss both the four-act and five-act structure. You will decide which works best for the pilot that you are developing. This week we will go over all the necessary story beats that exist in acts 1 and 2 of a drama pilot, including exposition, number of scenes per act, traditional page count, inciting incidents, acts 1 and 2 breaks, etc. The assignment this week will be to complete Acts 1 and 2 of your pilot. WEEK #6– Acts 3, 4 and 5 Similarly to last week, we will cover the necessary story beats that traditionally exist in acts 3 and 4 of a drama pilot. If your pilot structure has five or more, as some broadcast network shows do, there will be time allotted for further instruction on how to proceed. The assignment this week is to complete the first draft of the entire pilot and to turn in your series bible. WEEK #7–Consultation for Revision (No Online Class) This week will consist of one-on-one consultations. Please turn in your pilot at least 24 hours before your scheduled call, and each writer will have a 10-minute call to go over notes. Your assignment this week is to address any notes. WEEK #8– One-on-one Feedback and Polish (No Online Class) This week will consist of 10-minute one-on-one phone calls as well. Please submit your revised pilot at least 24 hours before your scheduled call. Final notes and next steps for your pilot will be given. Payment plans are available - please contact edu@stage32.com for more information. Ever wondered what daily life is like for a TV Writer? Looking for ways to manage and maximize your schedule to output great, useful material without losing your mind? Wondering how the hell you’re supposed to write when you’ve got a full-time job? 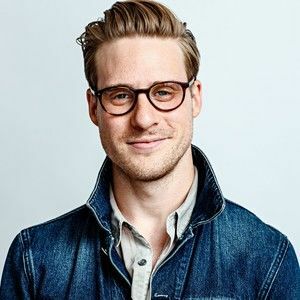 Tune in for this exclusive 2-Part Stage 32 Next Level Webinar taught by TV Writer/Producer Charlie Charbonneau (CW shows: The Secret Circle, The Vampire Diaries, and its spin-off The Originals) to hear about life and work of TV writers, on AND off the clock. You'll gain insight that will help you succeed in finding your next assignment and how to excel in the position! In Part 1, attendees will learn what life is like when TV writers are between jobs or trying to get that first job. Join Charlie as he discusses ways to manage your own writing schedule, find out how to decide which projects to focus on, and get some tips to stay relevant and visible to the big players and decision makers when you’re not employed. He’ll even lay out some strategy to position yourself for the highly coveted freelance script, whether you’re an assistant or a working writer between gigs. In Part 2, Charlie will unpack all the ups, downs, problems, and pleasures that come in the daily life of a working TV writer. Hear insider advice and information about writers room etiquette, climbing the title ladder, taking notes, rolling with the punches when your material doesn’t impress the powers that be, and making sure you get paid. He’ll even discuss the best way to interact with those hot-shot actors in your show. As usual, get ready for some horror stories from the trenches! We all know that America is bursting with talented filmmakers. Are you an independent filmmaker, cinema or digital media student, D-I-Y filmmaker or videographer? Do you have great ideas, a few skills and few filmmaking friends? Maybe you can shoot a short movie, but can you finance one, find an audience to watch it, or promote and sell it? 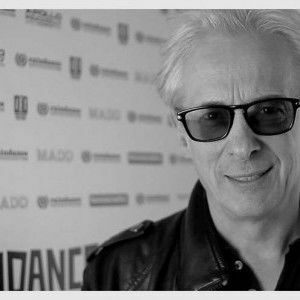 Raindance Film Festival Founder and social media maverick Elliot Grove comes to New York to bring a fresh look at breaking into the film industry to get your movie made and seen by others. Elliot has produced over 700 short films, 6 features and trained thousands of new and emerging filmmakers around the world. Discover how to use the Raindance method and social media to build audiences, source financing and screen films. CHARGE YOUR SMARTPHONES! Join @stage32 and @RaindanceNYC and #IndieFilmNYC for this information-packed one-day seminar. DOORS OPEN at 9:15 am. What is an "on-demand" webinar? On-Demand Webinars are recorded versions of the original live webinars. Live and interactive functionality discussed on the recording does not apply to On-Demand webinars. You will, however, receive all the content from the webinar and be able to access it as many times as you'd like for up to 1 year through the My Education page.